Enjoy the luxury of the General’s suite! 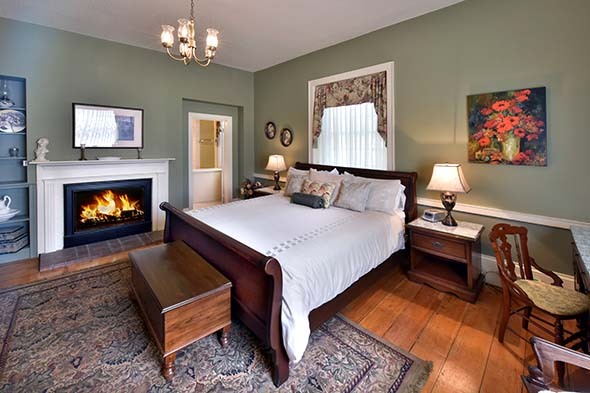 Sir Isaac Brock’s Bedchamber offers grand and sumptuous surroundings with its accommodation furnished in romantic French Country style including a king-size sleigh bed; chaise lounge; LCD flat screen television. Its spectacular private ensuite features a luxurious double Jacuzzi bath, separate shower and heated ceramic tile floor.